A BJJ world champion and the first Brazilian UFC champion. Over 100 black-belts trained in the course of his long journey as a teacher and founder of one of the most successful martial arts gyms in the world. It has been 42 years of dedication to BJJ, 31 of which as a teacher. All this experience has contributed to make Murilo Bustamante a coral-belt — the equivalent of a seventh-degree black-belt. 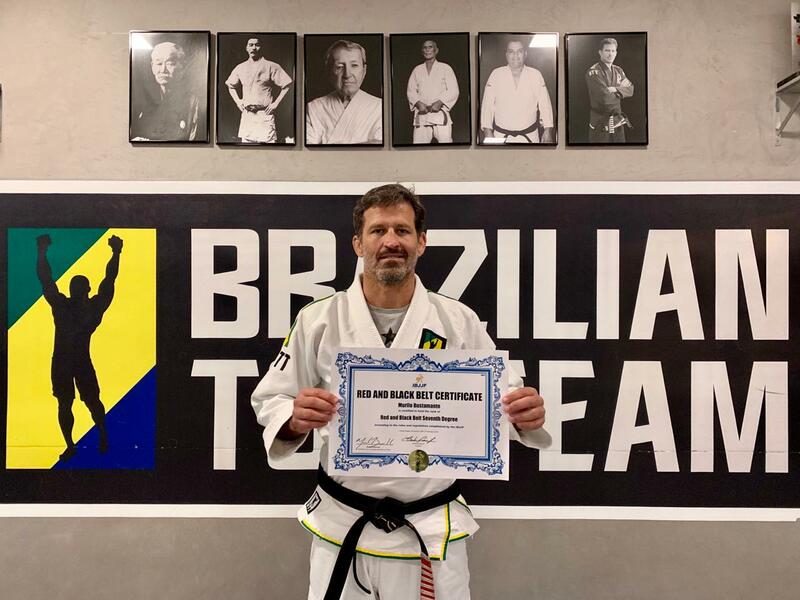 His diploma has already been delivered by the IBJJF, but Murilo will only start wearing the belt in August, when he will host a special ceremony at BTT HQ in Rio de Janeiro. “Such a special moment deserves a celebration with all the people who are a part of my story,” he explained. We can’t argue there, Master.